Hyundai is working on an all-new Elite i20 for the Indian car market and the world. The all-new i20 is expected to be launched in 2020. Here is a speculative render that shows what it could look like. 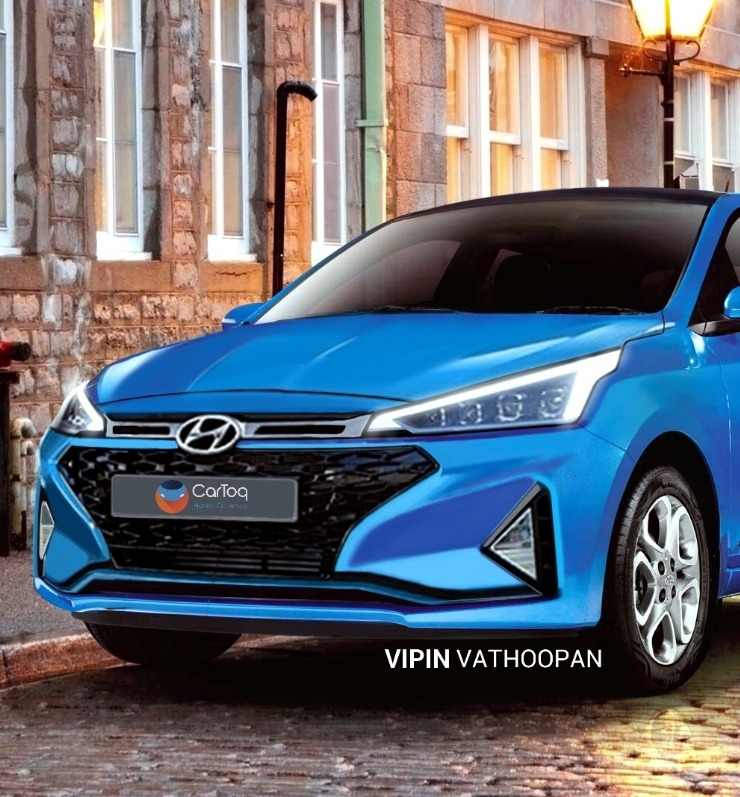 Vipin Vathoopan, CarToq’s rendering expert has put together this computer generated render of the 2019 Hyundai Elite i20. The car’s front end is inspired from the new Hyundai Elantra Sport. This look at the front gives the next-generation i20 Elite a very sporty appearance, and if Hyundai offers such a design language on the new car, it’ll be the sportiest-looking i20 ever built. The render indicates that the headlamps of the next-gen Hyundai i20 Elite are likely to get sharper with LED DRLs outlining them. The headlamps will also go full LED. Also, while the 2019 i20 Elite will also receive the cascading grille design, a much more narrower front grille is expected. The front bumper is expected to be quite angular as well. There could be a major design change for the alloy wheels, with a diamond cut as standard. We expect Hyundai to stick to 16 inch alloy wheels for the new i20 Elite considering Indian road conditions. Markets abroad could get 17 inchers. The sides and rear of the car are also expected to get major design changes. 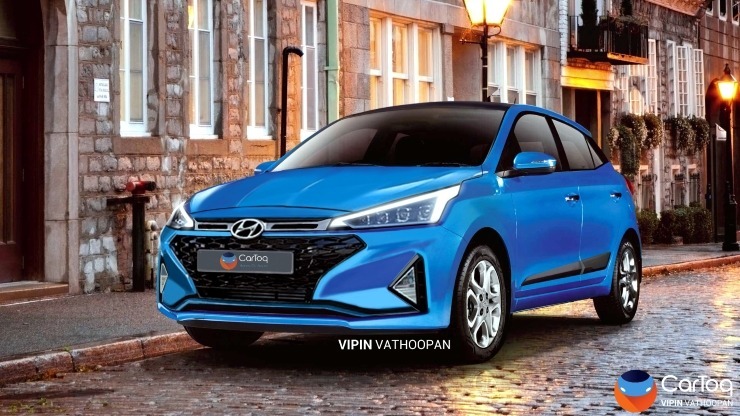 Hyundai is expected to replace the 1.2 liter VTVT petrol engine that the current i20 gets with a new, 1 liter-3 cylinder turbocharged petrol engine. The new petrol engine will make its debut on the Hyundai Styx (QXi code-named) compact SUV. This engine is expected to unleash around 100 Bhp-150 Nm on the new Elite i20. Manual and automatic gearboxes are expected to be offered. The engine will meet the upcoming Bharat Stage 6 emission norms. It remains to be seen if Hyundai retains the 1.4 liter turbocharged diesel engine on the new i20 considering tightening emissions. For now, it appears that this will be the case as the company is making the diesel engine BS6 compliant for use on the Styx SUV. Therefore, there’s no reason why the same engine will not be offered on the new i20. Like the vastly changes exterior design, the interiors of the 2019 Hyundai Elite i20 are also expected to get a major makeover. We expect the insides of the new car to be class leading in terms of quality levels and the touch and feel of materials. Expect the car to be feature-rich, and a best-in-segment offering. As for pricing, it’s expected to go up northwards, but not by too much as the i20 still operates in a price sensitive segment.